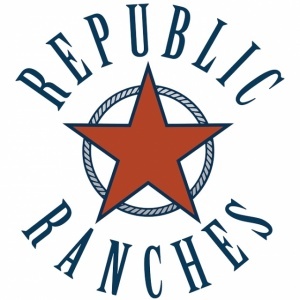 Republic Ranches is an elite farm, ranch and rural properties brokerage firm serving Texas, Oklahoma, New Mexico, Louisiana, Colorado, Arkansas and, via a strategic alliance with Fay Ranches, the Rocky Mountain West. Republic Ranches is one of the most powerful land brokerages in the country. We have offices in Austin, Corpus Christi, Dallas, Hondo, Houston, and San Antonio that allow us to effectively cover a broad region home to some of the finest ranches in North America. Our well-connected presence in the major cities gives us access to qualified buyers who nowadays often come from the capital-rich major metro areas. As a team, we bring to bear a new level of professionalism, talent, dedication, and unwavering ethics on behalf of our clients. The easternmost pasture of the Loma Ranch features pleasant topography, majestic trees, diverse habitat, great wildlife and native grasses. As close and accessible as the property is, it still offers substantial privacy and incredible views. Great investment opportunity. The Cameron Ranch located minutes form San Antonio is a wonderful multi-use south Texas ranch. It is an ideal ranch for someone looking to hunt, fish, graze cattle, or get out of the city. The Cranfills 60 Ranch is located only minutes from Cranfills Gap on the eastern edge of Hamilton County. This property would make an excellent homesite as well as a great hunting potential due to the balance of tillable and wooded acres. The ranch is very easily accessible and in a particularly quiet area. Land: The land consists of 25 tillable acres and the remainder wooded with mostly Juniper and some Live Oaks. The soil in the wooded areas is gravelly clay loam and the tillable acreage contains topsey clay loam. This property's topography is flat and drains to the South. Utilities: Electric line across the property is available for service through United Coop. Water wells in the area can produce 30-40 gpm at approximately 700 feet and in Hamilton County wells are not under the jurisdiction of any groundwater conservation district. Location: This property is located approximately 4.5 miles west of Cranfills Gap, 45 miles from Waco, 2 hours from Dallas, and 2.5 hours from Austin. Wildlife: The ranch is a great transition area for wildlife due to the location between Meridian Creek and the South Prong Meridian Creek. Whitetail deer, hogs, turkey, and dove can all be hunted on this property with much larger neighboring ranches that add minimal hunting pressure. Taxes: The ranch is taxed with a 1d1 agricultural valuation for livestock. Beautiful Ranch/Equestrian property located in the heart of Fulshear, Texas and only 40 min from downtown Houston. Driving into the property lush coastal grass leads into a blanket of mature oak and pecan trees allowing for a postcard view from the ranch house located at the end of the road. The home’s deck over looks Bessie’s Creek which winds around the west side of the ranch offering awesome sunset scenes. Behind the existing ranch house is rolling terrain filled with more oak and pecan. The ranch offers 43 stalls–some with turnout areas; two rounds pens–one lighted 140′ round pen; 100′ x 160′ EST covered arena; air conditioned tack rooms and multiple cattle pens. Property has an 2,760 SF office. This is a wonderful ranch in an awesome location— land for sale in this area over 10 acres is hard to find so don’t miss this opportunity! Excellent development property on prestigious James Lane. The information contained herein has been diligently assembled and is deemed reliable, but is not warranted by Broker or Seller, express or implied, and is subject to change, prior sale, errors and/or omissions and withdrawal from market. Buyers must verify accuracy of representations on their own, as well investigate potentially pertinent natural attributes, laws and regulations, and draw their own conclusions regarding the usefulness and value of the property for a given purpose. Viewing appointments scheduled with Republic Ranches LLC. SHOWN BY APPOINTMENT ONLY DO NOT TRESPASS. Buyer’s broker must be identified on first contact, and must accompany buying prospect on first showing to be allowed full fee participation. If this condition is not met, fee participation will be at sole discretion of Republic Ranches, LLC. Rick Doak, Sales Agent. This property is co-listed w/ Bobby Hunt, Superior Farm and Ranch Realty, LLC. Cool Acres is an extraordinary property less than 60 miles from downtown Houston. This beautiful retreat offers big river views with wide-open spaces under towering oaks and pecans for entertaining and outdoor recreation. The expansive compound is set up for family gatherings, hosting guests, celebrations or simply private moments. Multiple houses, outdoor patios, tennis courts, a swimming pool and playgrounds surround a central fishing lake, creating a wonderful outdoor activity center for all to enjoy. Location: The ranch is located south of Simonton, Texas. Just 20 minutes west of Highway 99. The property lies on the west side of the Brazos River and is easily reachable in under one hour from downtown Houston. Habitat: The property is one of the few that sits on a high bank of the river completely out of the flood plain and has views looking east and west along with huge hardwood trees scattered among rolling terrain along the river bank. The sandy loam soil makes for excellent equestrian and cattle operations. Water is a major attraction to this ranch, which includes over a half mile of Brazos River frontage, and a beautiful stocked pond “Lake Louise” surrounded by Cypress trees in the middle of the compound. Note; despite historic flooding over last several years, no improvements on the property were affected by the floods. Improvements: House #1: The original country house for a growing family, the main house was built in 1960. With 4 bedroom, 2 1⁄2 bath, this house sits on the highest point of the bluff with views up the Brazos River. Afternoon cocktails were customarily enjoyed on the “Sunset Terrace.” This patio provides the perfect place to sit and watch the world go by. There is a small room and bath attached to the carport(2,756 sq. ft.). House #2: This housewas built for entertaining in 1976. The large family room centers around a fireplace and opens to a deck overlooking the river. It has 4 bedrooms and 2 1/2 baths and an upstairs screened in sleeping porch with swinging beds that overlook the river and fire pit (3232 sq.ft.). House #3: Built in 1982, #3 became the gathering place for the big family with a large great room and kitchen and pool table and has 5 bedrooms and 2 1/2 bathrooms. This house also offers a deck with river views (3572 sq.ft.). House #4: Built in 1982, The Texas House was featured in Architectural Digest and has charming tin ceiling in the kitchen, Stained Glass Texas Flag, wide front porch overlooking the lake and 3 bedrooms and 3 baths. The porch on house #4 offers wonderful sunset views (2166 sq.ft.). Pool House and Swimming Pool: The pool house was built in 2010 and has 2 en-suite bedrooms with a covered porch overlooking the lake. There is an outdoor WC and outdoor shower adjacent to the swimming pool(800 sq.ft.). Other Amenities: Set between the bluff of the Brazos River and surrounding Lake Louise, the Cool Acres compound has all the fun amenities one would ever need to entertain and spend breezy days under the canopy of live oaks and cypress trees, including a kids playground with swings, slide, round-about and teeter totters salvaged from the Galvez Hotel. There is a firepit located just to the north of Lake Louse – perfect for roasting hot dogs, s’mores and family sing-a-longs. Tennis Courts: The 2 Laykold tennis courts have a covered pergola and is a fun site for the tennis matches of the Catfish Cup, a favorite annual event of the current owner’s family. The “Roller Rink” Pavillion: This paved pavilion, originally built as an old-fashhioned country roller skating rink, has a full kitchen and 2 bathrooms for easy entertaining. This is the perfect location for a barbeque, Brazos catfish fry or country dances. The Caboose: The Cool Acres Express was salvaged from a railroad line near Orchard, Texas. It is a fun conversation piece, party center or place for children to play while adults sit on the deck overlooking the playground. The Old Orchard Texas Post Office: The gem was moved from downtown Orchard and converted into a play school house for all the grandchildren, miniature desks included. The Party Pavilion: Sits across the road from the Roller rink and sets up with picnic tables. The Pin Oak Band Stand: This pavillion is the original band and reviewing stand for Houston’s Pin Oak Charity Horse Show. Another lovely venue to gather for picnics, drinks or to watch the world go by. The Gypsy Wagon: This painted wagon was originally in the “circus collection” of Mayor of Houston, Judge Roy Hofheinz. Children are entertained for hours here. There are two other houses on the property: Foreman’s house and a Ranch house (1,765 sq.ft. and 1398 sq ft.). The Barn has 3 stalls and turnout attached. Detailed square footages and floor-plans are available as well. Minerals: Surface only, No minerals are available. Flood Plain: About 10% of the property is in the 100 year flood plain. No structures were flooded during Harvey. Located on a beautiful road just minutes from Beaumont, Tolivar Farm is a highly improved property. Tolivar Farm has sandy soil, improved pastures and spectacular horse facilities with 21, 12 x 14 stalls made of wood and metal framing and 2 lighted riding rings with sprinkler systems. Imagine going dove hunting 15 minutes from your office! This one is just a few miles west of the Woodlands and offers opportunities for running livestock, deer and dove are abundant, and there are plenty of woods to enjoy getting away without making a long trip. 93 acres just between the Woodlands and Magnolia off of FM 1488, the ranch access is on a gravel road off of Superior Road. Exceptionally large acreage for this area, the ranch is approximately half wooded and half open. The woods on the property are dominated by large oaks that make great cover for the wildlife in the area. The pastures are in good shape for raising cattle or horses and would make a great area for your kids 4H club projects. With 55 acres of the ranch out of the floodplain, there are plenty of areas to build a home or cabin. There are several existing gas wells on the property and no minerals will transfer with the sale. No mobile homes are allowed on the property. Located on the southern edge of the Edwards Plateau just before the hills give way to the South Texas Plains, Piñon Ranch’s 10,318+/- acres are a fusion of the Hill Country and South Texas. Dramatic topography, unspoiled vistas, and diverse plant species - including piñon pines! The Prairie Oaks Ranch is approximately 265 acres of light brushy prairie habitat that includes a mixture of good brush, open areas, and oak mottes. The Snyder Ranch is approximately 850 acres of big trees and thick native brush. Large oak trees and oak motes along with huge hackberry and mesquite trees can be found throughout the ranch. The southern pasture of the Valdina Ranch is part of the historic Valdina Farms. It is located in the transitional region of Medina County where the Hill Country meets the South Texas Plains. Los Cortes Ranch, located in southern Wilson county, is a special opportunity to own a untarnished piece of land in South Texas. Big brush, mature trees, tall grasses, and water features give this ranch “pasture appeal”. Located in one of the finest unspoiled islands of the Texas Hill Country is La Cima Ranch. This slice of Texas has a great mixture of conserved upland grasslands and hardwood lined hillsides awaiting their next steward. La Cima (“the summit”) provides breathtaking 360 degree views. Located in one of the finest unspoiled islands of the Texas Hill Country is Rim Rock Ranch. This slice of Texas has the trifecta of amazing views, diverse flora, and deep dramatic canyons. Rim Rock Ranch provides breathtaking views across the hills toward Kerrville & Camp Verde. The Circle A Ranch is the perfect South Texas Ranch. 800 acres of grass pasture with mixed brush and large mesquite trees make an ideal habitat for white-tailed deer and quail. This property, located at the mouth of Lake Pontchartrain, is a tremendous development opportunity. Lying between Chef Menteur Pass on the south, and The Rigolets Pass on the north, with immediate access to the area’s famous fishing and hunting, re-development prospects are excellent. The westernmost pasture of the Loma Ranch is called the Koch Pasture and is situated adjacent to Highway 281. It features beautiful topography, majestic trees, diverse habitat, great wildlife and native grasses. The Valdina Ranch is the house pasture of the historic Valdina Farms, located in the sought after transition country, where the hill country meets south Texas. Valdina Farms was an 18,000-acre ranch established in the early 1900’s by Mr. E.F. Woodward. What an address! MINERALS AVAILABLE through reversionary interest with adjacent production! This 127 acre property is located just south of Hwy. 59 just past Berclair.